We, too, had the honour to participate at INTER-COMP-INNO, a conference organized by the Ministry of Economics on October 18. 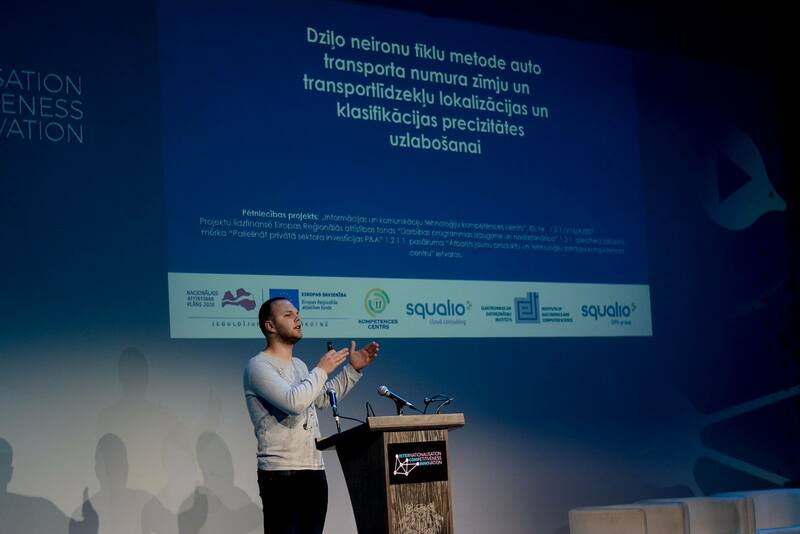 We presented the work we’ve done so far in the study "Deep neural network method in the localisation and improved precision of the classification of car number plates". Here’s the presentation, if you want to take a closer look! This study helped us develop the solution FITS ITEMS, recognised by Microsoft. The FITS ITEMS solution created by dots. was one of the pilot projects that were presented to the management of Microsoft Corporation in the USA and that helped convince Microsoft that Latvian IT companies have potential. It was one of the vital conditions for the opening of Microsoft and University of Latvia’s Innovation Center in Latvia in September 2017. We are glad to be developing Latvia’s potential together!